UTAG’s Legal Team yesterday lodged papers to Judicially Review the decision of Emma Arbuthnot to grant Uber a license. A shocked passenger felt that he was left no choice but to drive himself home in an Uber when his driver arrived completely plastered. Uber user Surya Oruganti alleged that his Uber driver arrived to pick him up from India’s Kempegowda International Airport heavily intoxicated and in no fit state to drive him to his destination. Instead of ordering another Uber or hailing a taxi, Oruganti chose to take matters into his own hands and drive himself to his destination while the drunk driver slept in the passenger seat. Edgbaston MP, Preet Gill is the latest in an ever growing list of MPs calling for an end to cross border hiring. In a letter to the transport secretary, Ms Gill, has outlined concerns about drivers being licensed in one area whilst working in another. Greater Manchester’s Trafford council chiefs are considering introducing an English language test for all taxi and private hire applicants. The plans are focused on clamping down on the amount of out-of-town applicants that perceive Trafford as an easy route to obtaining a licence. In 2015 Trafford council scrapped the topical knowledge test and the range of acceptable qualifications to prove English skills was also extended. The changes were made to speed up the licensing process, but its now causing problems with the amount of people living outside of the area applying. And even Uber drivers are fed up with Cross Border Hiring, they have now said enough is enough, and started to protest over the issue, as well as a myriad of other complaints. Uber drivers in Leeds descended on the minicab giants office in Burley Road, protesting against other Uber drivers from neighbouring Yorkshire towns and cities encroaching onto their licensing area. 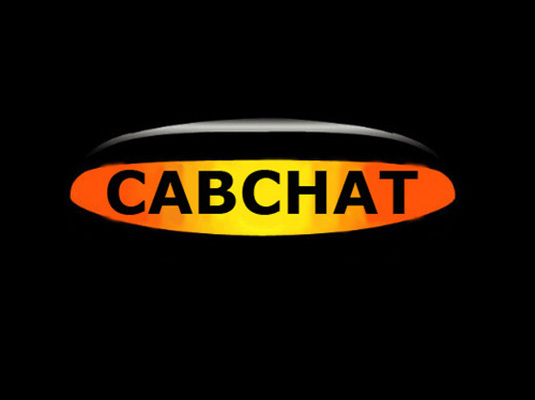 The Cab Chat Team have decided to name the Cab Chat Cab Pam. Listeners sent in many suggestions including Chatty McCabface, Lady Cab Chatterley, and Chatty Chatty Bang Bang but the team decided on PAM. So why Pam, well it is the initials of Pie And Mash.